Planetauthorize™ Payment Gateway provides Mult-Currency payment processing services to merchants in over 100 countries including but	not	limited	to the United States, Canada, United Kingdom, European Union (EU) Member Nations, Latin America and Asia. Process Retail, eCommerce, Mobile and Mail Order/Telephone Order payments in your local currency. Planetauthorize also provides merchants with the ability to accept Retail, eCommerce, Mobile and Mail Order/Telephone Order credit card payments using a single Planetauthorize gateway account. With Planetauthorize you can generate consolidated sales reports to streamline your financial reporting requirements. Process credit card transactions in your local currency. Merchants can load multiple merchant accounts in a single Planetauthorize payment gateway account, providing the flexibility to accept credit cards in other currencies. Planetauthorize multi currency payment platform allows merchants to accept and process credit card payments in their local currency and determine which currency account to use for payment. 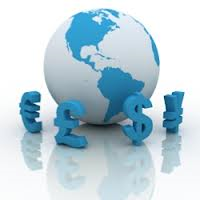 Multi-currency products are based upon the simple premise, people are more comfortable paying in their local currency. Multi-currency processing gives international customers the ability to make a simpler and more informed buying decision no matter where they shop, whether in a restaurant, hotel, retail store on online store. For a complete list of supported processor platforms Contact Us. To get started with the Planetauthorize Payment Gateway service, simply complete and submit our Merchant Inquiry Form or call SaleManager, toll free, at 1-800-918-4890. With Planetauthorize's QuickBooks® SyncPay™, merchants can process the gateway transaction, create an appropriate accounting entry and automatically mark the transaction as paid without ever leaving the QuickBooks® environment.